Alright, we’ll admit it – nearly our whole studio is obsessed with the Switch, the latest and greatest gaming console from Japanese gaming giant Nintendo. And we’re not alone in our love for Nintendo’s hybrid home/portable entertainment machine – devices remain in high demand more than a year after its launch, approaching levels of success strikingly similar to their previous home console megahit, the Nintendo Wii. While you’ll most often find our staff enjoying popular, award-winning commercial titles like The Legend of Zelda: Breath of the Wild and Super Mario Odyssey, here at Filament Games we’re also particularly interested in exploring a unique subset of titles that closely relates to our own line of work: educational and learning games. Hence why we’ve compiled the lovely list below – a selection of some of our favorite game-based learning experiences available for the Nintendo Switch. Without any further introduction, let’s jump right in! 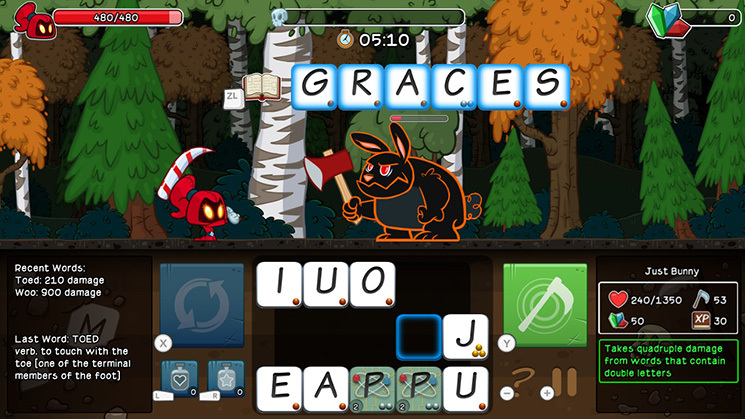 A spelling learning game so good that we even offer own web-based ‘EDU’ version on the Filament Learning storefront, Letter Quest Remastered is a turn-based word combat game that cleverly tests players’ linguistics, phonics, and word analysis skills. Put simply: spell to survive! Developed by Bacon Bandit Games, Letter Quest Remastered is sure to be a hit among players of all skill levels. We’ve already discussed the Nintendo Labo at length in a previous post, so I’ll do my best to keep this section short. However, Nintendo’s recently released cardboard construction toy platform is simply too remarkable to omit from this list. Fans of the makerspace movement – dedicated spaces for young learners to gather, create, and discover using a variety of hands-on tools and materials – listen up! 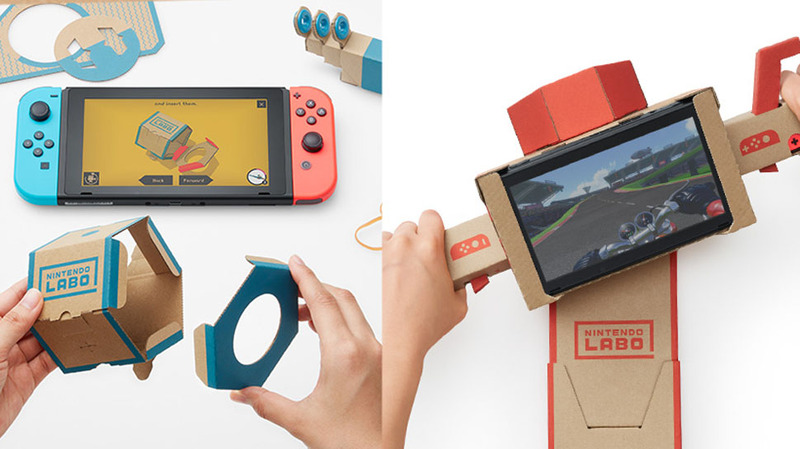 Included with each Labo kit’s software is Toy-Con Garage Mode, which allows players to combine cardboard, household items, inputs and outputs in order to create whatever they want, with the only limit being the user’s creative capabilities. From digital clocks to simple games, the creation possibilities with Nintendo Labo are endless – ideal for players who embrace open-ended challenges and design thinking. Developed by Springloaded, Hiragana Pixel Party is a – *deep breath* – rhythm-action platforming Japanese-learning chiptune adventure! 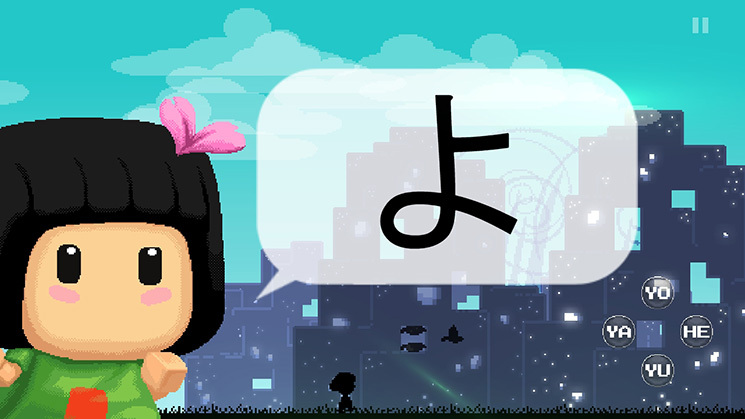 A delightful introduction to reading Japanese Hiragana and Katakana characters, the game features adorable artwork, 16 different worlds to play through, and an awesome chiptune soundtrack – the perfect recipe for language learning fun! Tomorrow Corporation – the team behind indie darlings World of Goo and Little Inferno – have rightfully earned a spot near the top of my list of favorite indie developers. 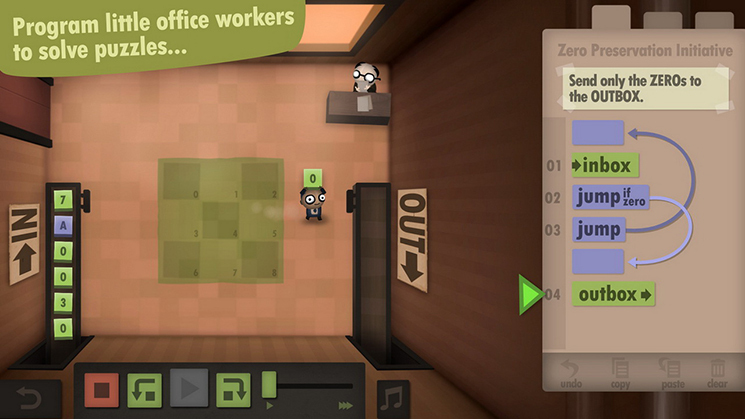 As one might expect, I absolutely loved their most recent release: Human Resource Machine. A mind-bending puzzle game that teaches the basics of programming via bite-sized, challenging levels, Human Resource Machine even has the official stamp (tweet?) of approval from Dr. Kurt Squire, one of the most influential game-based learning researchers in the world. I’ll be the first to admit that calling this one an “educational game” may be a bit of a stretch. 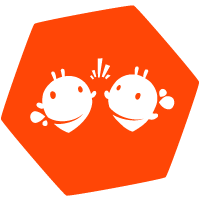 However, we’re still inclined to include KORG Gadget on our list as it offers users a uniquely playful experience with potential real-world learning outcomes. 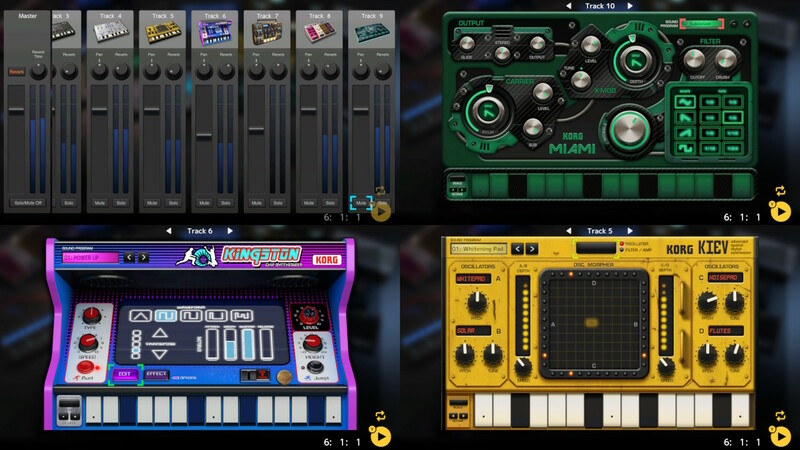 An award-winning music creation software suite, KORG Gadget lets players experiment with synthesizers, make their own beats, and even compose collaboratively with up to 4 friends using local multiplayer! They say all good things must inevitably come to an end – and this list is no exception. Let us know via Facebook or Twitter if you tried any of the above games…we’d love to hear what you thought of ‘em! Similarly, if we omitted any remarkable learning games on the Switch that you feel deserve a spot on our list, definitely let us know as well. Happy game-based learning, friends of Filament!